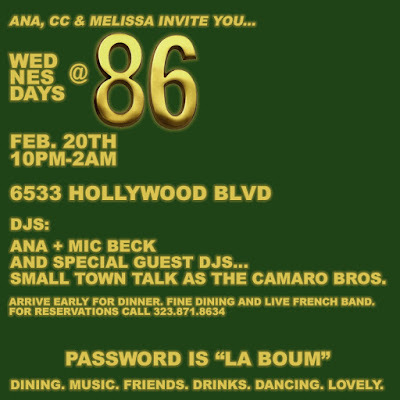 WEDNESDAY FEB. 20th 10pm-2am 6533 Hollywood Blvd. SMALL TOWN TALK AS THE CAMERO BROS. Arrive early for dinner.Fine dining and Live French Band.